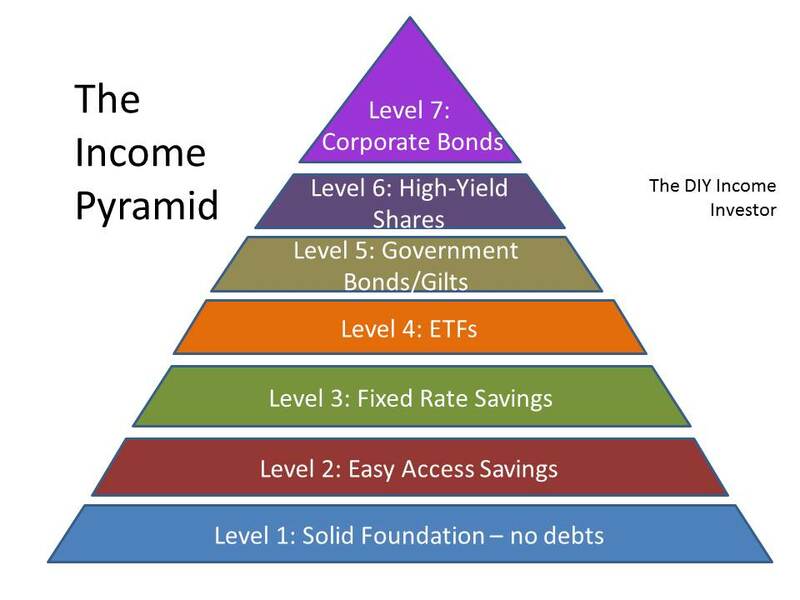 Hopefully you have understood by now what we are about here at the The DIY Income Investor, now let's get to the interesting stuff - building up your Income Pyramid. 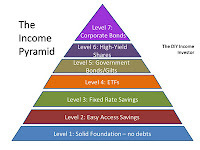 Level 1 was the sound foundation of no debt and paying off your mortgage - discussed here (and no easy task, either). the overdraft rates - as you will not have any need to go overdrawn - right? You should check the MoneySavingExpert's recommendations on bank accounts and MoneySupermarket.com's easy access accounts. My current favorite UK current account is Lloyds TSB and their Classic Account with Vantage, which pays up to 4% interest on sums up to £7,000, which is pretty unbeatable for a current account easy-access account. You need to pay in at least £1000 per month, though.